Franco Bixio was born in Rome, Italy on January 29, 1950. He is the son of composer Caesar Andrea Bixio [1896-1978] and brother of television producer Carlo Bixio [1941-2011]. Together with M ° Lotoro, pianist and researcher, he made a record label Musikstrasse, containing recordings of all the music composed in the concentration camps from 1933 to 1945 and the documentary Concentrationary Music, with interviews with musicians surviving the Shoah. 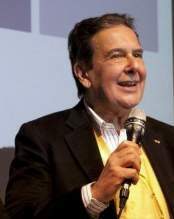 From 1998 to 2004 Franco Bixio was President of the FIA. (Association of Italian Phonographs), after which he held the post of Advisor. Under his chairmanship, A.F.I. has participated both as a leader and partner in many European projects including RITMO, SYSMIC, AHEAD, SAIL, DRUM. In 2003, he was promoted, as president of AFI, an alliance with the largest European collecting societies (EMCA) with the aim of raising young people's awareness, through campaigns across schools across Europe, on the value and on respect for creativity. He is President of C.A.P.I. (European Federation Composers, Authors, Producers and Performers). He is a director of UNEMIA (Union of Publishers and Authors of Italian Music). She teaches at the "Master of Music" at Luiss University in Rome. As a musician and composer. He is best known for his film scores and was a frequent collaborator with the famous horror director Lucio Fulci. His scores have become some of the most widely known in the genre. Over the past decades Frizzi has collaborated and been a part of the composition teams of Bixio (Franco Bixio) Frizzi (Fabio Frizzi) & Tempera (Vince Tempera), The Benjamin Franklin Group, Cook & Benjamin Franklin Group, Fruit Of The Gum, and the Magnetic System. Along and with Bixio, Frizzi and Tempera he has composed scores for seven Euro-westerns. BIXIO, Franco (aka The Benjamin Franklin Group, Bixio, F. Bixio, Andrew Barrymore, Antony Barrymore, Cook & Benjamin Franklin Group, Dream Bags, Fruit Of The Gum, Leon Herbert, Magnetic System) [1/29/1950, Rome, Lazio, Italy - ] – composer, arranger, songwriter, son of composer Cesare Andrea Bixio [1896-1978] - composer, founded Musikstrasse Recordings, son of compoer Caesar Andrea Bixio [1896-1978], brother of producer Carlo Andrea Bixio [1941-2011].